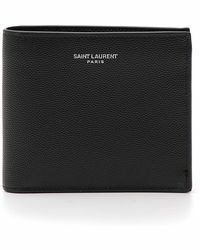 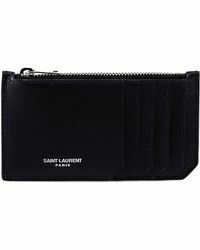 Sleek, streamlined shapes, intricately designed prints and luxurious materials are the trademarks of Saint Laurent wallets. 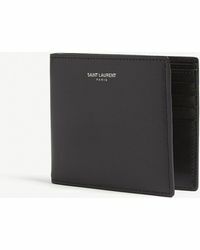 These effortlessly stylish pieces will help keep your valuables safe, while still making sure they're easy enough to spot when they're stuffed into your bag. 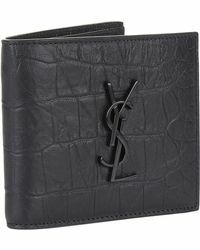 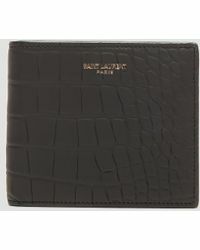 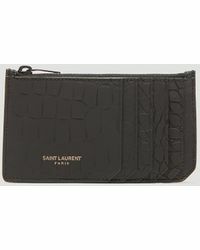 Choose from embossed leather, exotic skin or glitter covered cardholders and coin pouches.